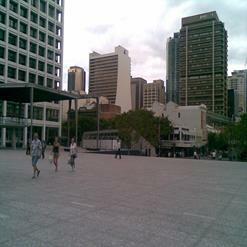 Opened in October 2003, Museum of Brisbane is a social history museum which is located in Brisbane City Hall. Museum's collections explore the stories and ideas that show the past and present of Brisbane. It has a changing exhibition program which celebrates Brisbane through visual arts, social history, craft and design. Museum of Brisbane has been renovated recently as part of the City Hall refurbishment.